Today, a trip to the supermarket in Toronto more than likely means shopping at a brand belonging to one of a small number of corporations. Loblaws owns No Frills, Valu-mart, and T&T; Metro owns Food Basics, while FreshCo, Sobeys, Price Chopper are part of the Canadian conglomerate Empire Company Limited. In the mid 20th century, before the first of several major acquisitions and mergers, shoppers had more of a say where their grocery dollars ended up. 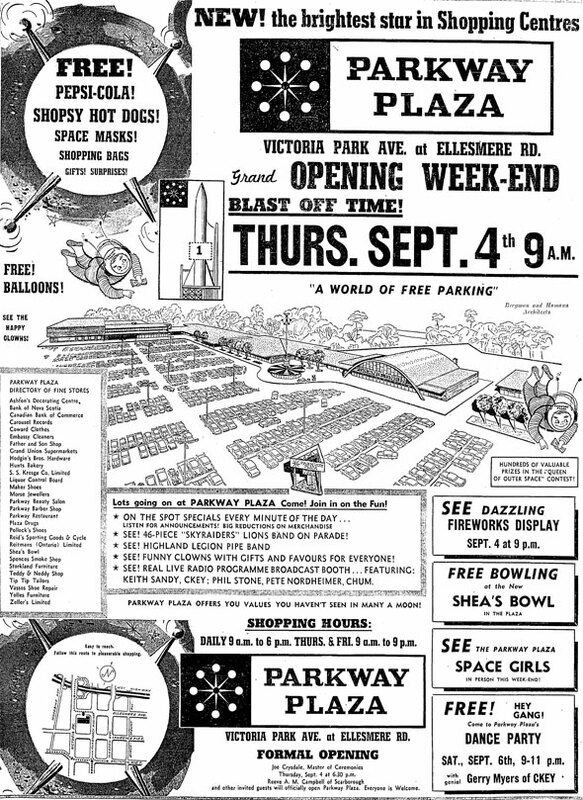 In those days, independent chains like Power, Dominion, and Steinberg wowed customers with gleaming self-serve supermarkets, ample parking, and space age foods. 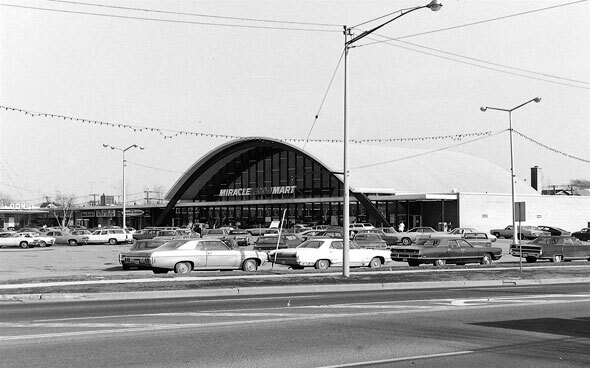 Here's a look back at five supermarket chains that have vanished from Toronto. Founded as The Great Atlantic & Pacific Tea Company in New York in 1859, A&P expanded into Canada in 1927. At its peak, the supermarket chain was the world's largest grocer. 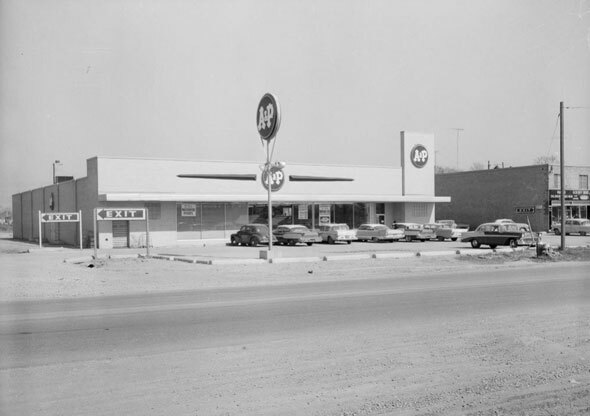 In 1930, Time magazine reported that A&P's total annual sales at its 3,100 American stores was in the region of $2.9 billion, making it also one of the world's biggest retailers along with General Motors. A&P gradually faded from its commanding position and eventually quit Toronto and Canada entirely in 2005. The Canadian brand was bought by Metro for $1.7 billion, but that didn't stop the rot. A&P filed for bankruptcy for the second time in a decade in New York this July. 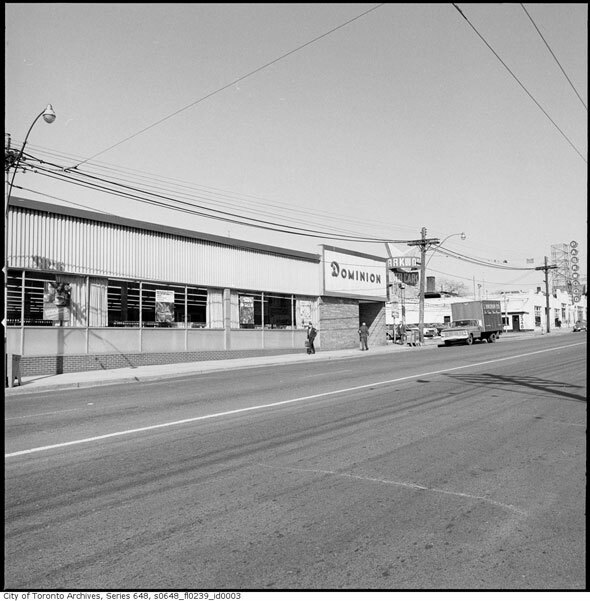 Founded out of a little storefront at 174 Wallace Ave., Dominion Stores Limited claimed to be the largest grocer in Canada with 190 stores (62 in Toronto) after just four years in business. 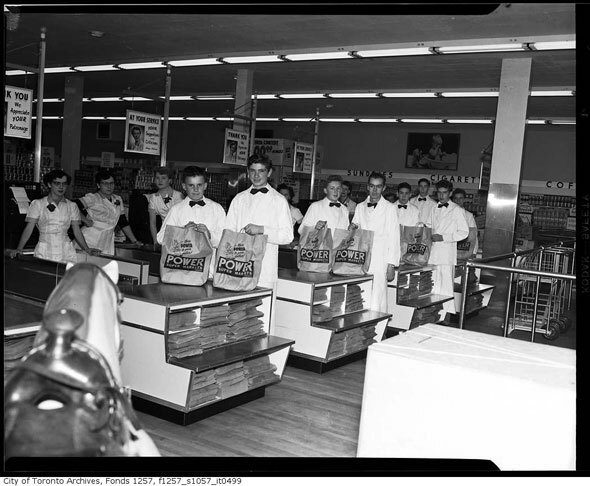 In the decades before supermarkets, Dominion stores were staffed by clerks who would fetch and bag items on the customer's behalf. 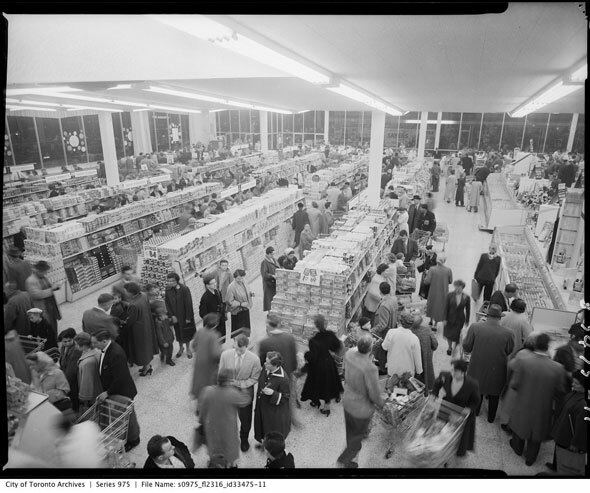 Remade as a conventional self-service supermarket chain, Dominion consisted of 195 stores in 1954, all of them in the GTA. 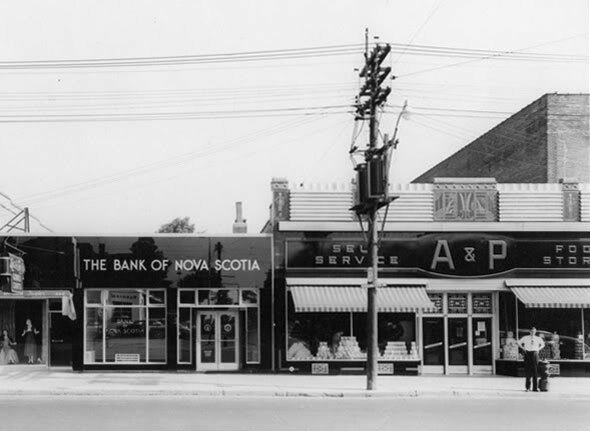 The Argus Corporation under Conrad Black sold the faltering company to A&P in 1985 and in 2008 all remaining stores operating under the Dominion name were converted to Metros. 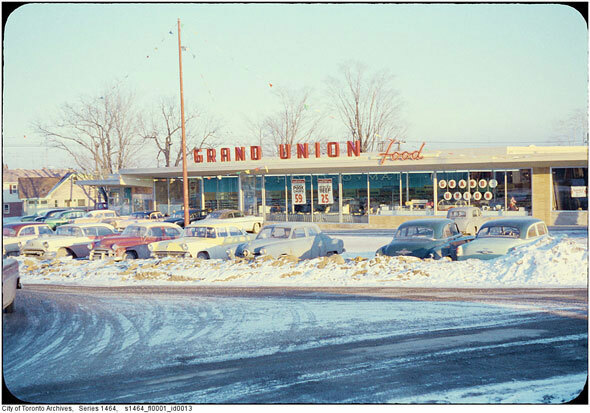 Grand Union's most famous Toronto store was at the Parkway Mall at Victoria Park and Ellesmere in Scarborough. 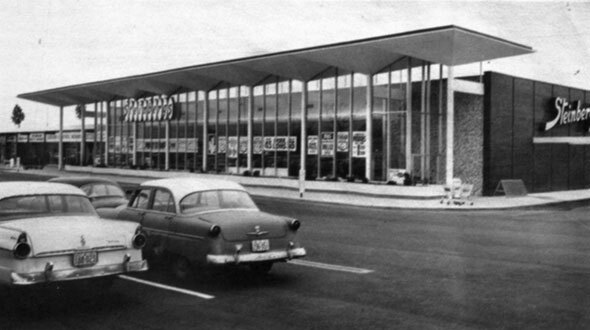 The U.S.-based company built the store with its distinctive arched roof in 1958, just five years after entering the Canadian market with the purchase of Carroll's, a grocery chain based out of Hamilton. Just months after opening its flagship Scarborough location, Quebec-based Steinberg's (see below) bought the company's Canadian stores and rebranded the Parkway Mall location. It was later a Miracle Food Mart and a Dominion. Today, it's a Metro. In 2009, the store became the first supermarket to be listed on the City of Toronto's Inventory of Heritage Properties. Another product of Toronto, the grocery store that would later become Power opened under the ownership of Samuel and Sarah Weinstein at Bay and Dundas in 1904. 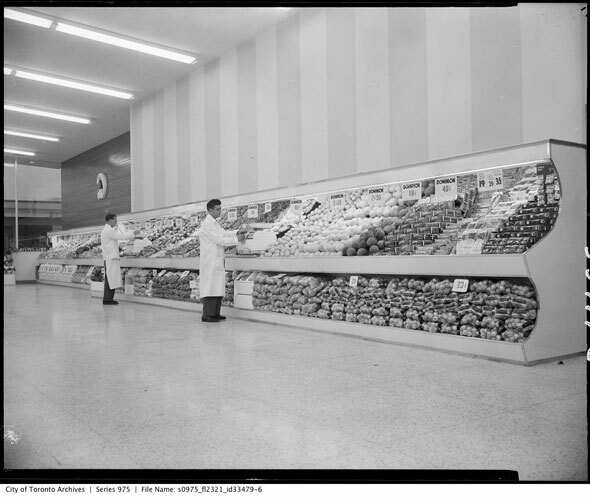 In 1933, the company switched its focus to low-cost food and opened its first supermarket at Coxwell and Danforth. One of its employees during this time was a young "Honest Ed" Mirvish. 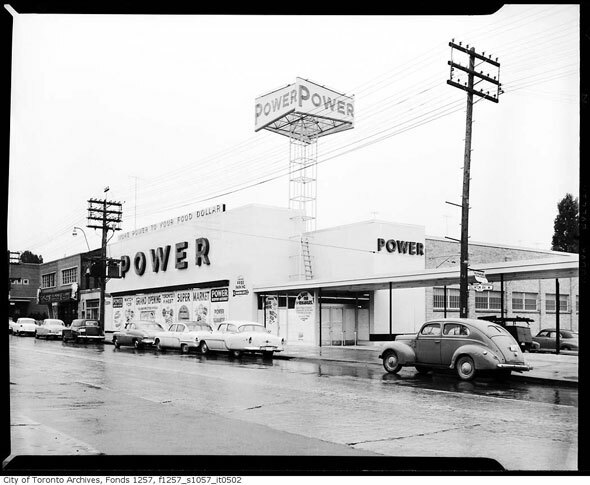 Power was bought by Loblaw in 1953 but continued as a distinctly separate budget brand until 1972, when its parent company decided to spend $10 million improving its image. Leon Weinstein, the cigar-smoking son of founders Samuel and Sarah who oversaw the company's expansion years, was briefly president of Loblaw from 1968 to 1970. 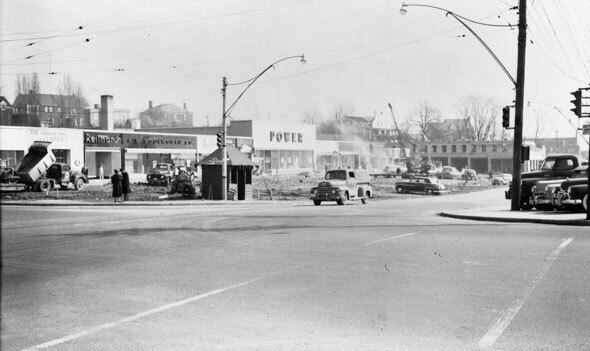 The pride of post-war Quebec had humble roots in a grocery store founded in Montreal by Hungarian immigrants. Under the leadership of Samuel Steinberg and his brothers, the company grew into one of Canada's largest food retailers and a cultural phenomenon. "Je fais mon Steinberg" entered the province's lexicon. 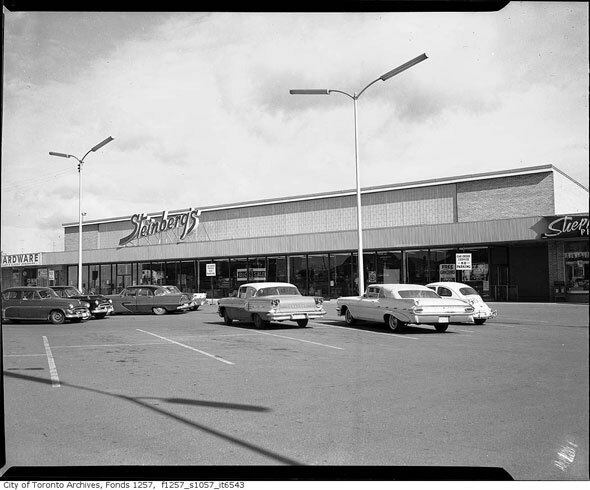 Steinberg's entered Ontario in 1959 with the purchase of 38 Ontario Grand Union supermarkets. A family dispute and slumping sales eventually forced the closure of the company in the early 1990s. Metro and Provigo, two of its main Quebec rivals, claimed the spoils. Images: City of Toronto Archives (as marked,) MusĂŠe Steinberg's/Flickr/Creative Commons, Eric Veillette/Silent Toronto.